Are you an aspiring musician? Need help with learning your sheet music? We want to help. Just ask Musicnotes! Musicnotes.com employs a wide range of talented individuals who are as passionate about music as you are. From professional arrangers to educators to just plain old music lovers, everyone here is dedicated to bringing sheet music to life in one way or another. We’d like to share our knowledge with you by opening the floor to your questions. Trying to learn music and need answers? Write down your question related to learning music or music performance and send your question to this email address: musiclovers AT musicnotes DOT com. Please put “Ask Musicnotes” in your email subject line. 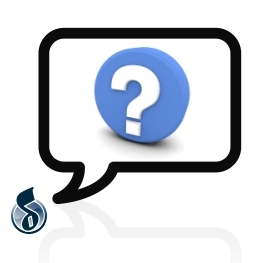 We’ll choose questions to answer here on the blog, and will provide you with a detailed answer. In the interest of time, not every question may be answered. How often (and how quickly) we respond to your questions will depend on scheduling and you! If you’re looking for ideas on what types of questions to ask, you might start by reading our tips for sight-reading post to help inspire you. TRYING TO FIND A LOVE SONG..DO NOT HAVE THE TITLE……….REMEMBER PART OF THE LYRIC…. The song you’re looking for is “Let Me Love You.” That song has been performed by Lena Horne and was composed by Bart Howard. What is a good chord progression to use when trying to learn to improvise on the piano. This progression requires you to use a C major scale, as all chords have roots, thirds, fifths and sevenths that are from the C major scale. This is called diatonic harmony. Ask Music Notes. Do you offer any one page songs showing guitar chords and words? I hate to stop playing the guitar in order to turn the pages on your sheet music. Page turning with the guitar (any instrument) is a hassel. One solution is to shrink pages on the computer or photo copier. A4 to A5 gives two pages of music on an A4 sheet, more on A3, or just put two A4 pages on an A3 sheet. Once you have started learning a page of music, you need less and less visual cues to prompt you to play correctly. Then, Presto (boom boom), the sheets can get smaller and smaller, letting you fit more music to the page. It works, and makes it easier to memorise whole pieces of music. Ask Musicnotes. How can I improve my phrasing on the piano? Also how to speed up the process of learning new pieces? There is a foolproof way to understand correct phrasing. Just sing the phrase and then imitate with your hands the way your voice sang it naturally. A lot of listening to professional performers will give you a good ear for phrasing, too. And that same listening to a piece that you are learning speeds up the process like magic. This means many times a day, both when you are paying attention to the music and when you are doing something else and it is just in the background. I tell my students that the recording of their piece(s) is their “wallpaper”- always there. We are getting new arrangements of Celtic Woman sheet music up on the site next week, but as far as we know, no sheet music has been released for this song. Many times, releases may not occur because of copyright restrictions. How can i get music notes for saxophone. Here is a link to the saxophone sheet music that we offer on Musiscnotes.com. Hope that helps! Where do I go to get someone to actually create the sheet music from my song? If I want a piano vocal piece or a guitar vocal piece. How do I know who can do that for me? If you send somekind of recording on CD or tape, I could probably figure that out for you. And you can’t beat my price(free). You can check out my den on AuthorsDen web site. It has my background and contact information. Click on “R” in the upper right, then scan down list. Thanks, Randall for your generosity! Creating sheet music is definitely its own art form, and for us there’s a lot of layers to it that involve licensing, etc. “Top Line music” is also called a “leadsheet.” Here is a link to the “leadsheet”‘s on Musicnotes.com. Hope this is what you were looking for!! What are your suggestions for studying / and playing the saxophone? Do you have any publications / techniques that you reccomend? I would consider myself between novice and intermediate in current knowledge and skill. Can I get sheet music to “Stairway to Heaven”? Hi Rod, You can do an online course which includes the sheet music on guitarprinciples.com (The best guitar website on the net, authored by a master teacher and virtuoso player). It has photos and notes which show how to play Stairway to Heaven, note by note, every movement, with ease. I play guitar, I’ve found that it’s really hard for me to change cords. On certain songs there’s (6) cord changes and my fingers just can’t seem to find the cords in time to the music. Is there anything I can do to speed up my cord changes and keep a clean sound. The Slower you go the Faster you will get there! You are probably suffering from muscle tension and lockup, where you are fighting your own muscle tension in moving to the next chord. It is an extremely common problem which permeates everything in most guitarists to some degree; unless they have learnt how to practice properly, which is almost never taught. Start with practicing your chord changes no tempo, then over 8 seconds (no kidding!) while concentrating on relaxing your whole body, both arms, and hands. No prizes for getting there by 5! Use a metronome, set on 60. Then, progressively halve the (8 sec) timing. The emphasis must be on releasing tension, and “bringing up the ease”. After that you can use the same settings with a strum, 1 bar each chord. Finally you can go on to your song using a programme that will slow it down for you, and gradually bring up the speed. You can find more information on “guitarprinciples.com” and their books “Principles of Correct Practice for Guitar”, and “The Path, Chords and Rhythm”. They are the “Bible for guitarists” and will revolutionise your playing. Musicnotes.com doesn’t have sheet music for this artist. I did some checking, and it looks like there is sheet music for Roberto’s work, but it’s only available in Europe in a book format. You can try checking Eurosheetmusic.com to see if you can get the sheet music shipped to the U.S., but you might not be able to due to copyright restrictions. where can i get piano sheet music the time of my life by david cook? my daughter was asked to play this song for her graduation. please help. The sheet music for “Time of My Life” by David Cook has not been released by the publisher for digital or for print. I’ve done some checking, and it looks like very few songs are available by him in sheet music. Sorry for the bad news, hope that helps! I play the keyboard after having some lessons in electone organ. Now I am trying to learn the piano but cannot follow the left hand notes. My instructor says it’s ok to play the chords with the left hand with the chord inverted closest to middle C and to play them softly while trying to play the chord in single note form one at a time. Soumd okay to me. What’s your view? Thank you for looking into it. I really appreciate it!!!! I know there is sheet music for Crush available on Musicnotes, but where can I get more David Archuleta sheet music? I really want to get more of his songs from Musicnotes (like A Little Too Not Over You and/or Don’t Let Go). Basically any David Archuleta song would be great! Thanks for your song requests! We will be arranging “A Little Too Not Over You” and have added it to our digital queue. Don’t forget to take advantage of our song suggestion tool, too! Here’s the link for David Archuleta’s song “A Little Too Not OVer You.” The sheet music went up today! Looking for title and availability of the “patriotic” song recently written for the newest Celtic Woman “Isle of Hope” touring currently. Anyone going to the show that purchased a program could help me out. It looks like the set list hasn’t even been published on their website yet. This usually means that the song is “so” new that it either isn’t available in sheet music, or it’s been covered as a different arrangement. Here is a link we found that does list some of the song titles for you. Sometimes, depending upon how “new” the music is, there might be a delay in digital or print from the publisher. hey, im trying to figure out an old classical peice but i dont know the title…i tried playing it on the piano and did the right hand part- that goes like: E D F E E D F E E D A C D E F D… any suggestions? help please. I’m looking for sheet music by an artist called Szakcsi. The New Age keyboardist from Eastern Europe.I’ve been on GRP records website but no luck. It doesn’t look like the sheet music has been released for this artist. Let me look into this a little more and find out if there’s any more info. How do I get this???? Thank you and have a nice evening!!!! Sure, Linda. We offer this song as a digital sheet music download through our website, http://www.musicnotes.com. It’s possible that the publisher hasn’t released sheet music for that song. If you have a song request, please feel free to enter the information through our song suggestion tool. Thanks! my best friend wants to get a tattoo in memory of her brother and wants the tattoo to be the sheet music to Seether’s “The Gift”… she only needs the score portion of the lyrics “I don’t belong here and I’m not well”… how do/can i find this for her? We have the guitar tab for The Gift by Seether, but I’m not sure how you would go about translating something like that to a tattoo. Took piano lessons when I was 12 for about 1 year. Tyring to go back and start over now at 50. Are there any on-line learning programs you would recommend.